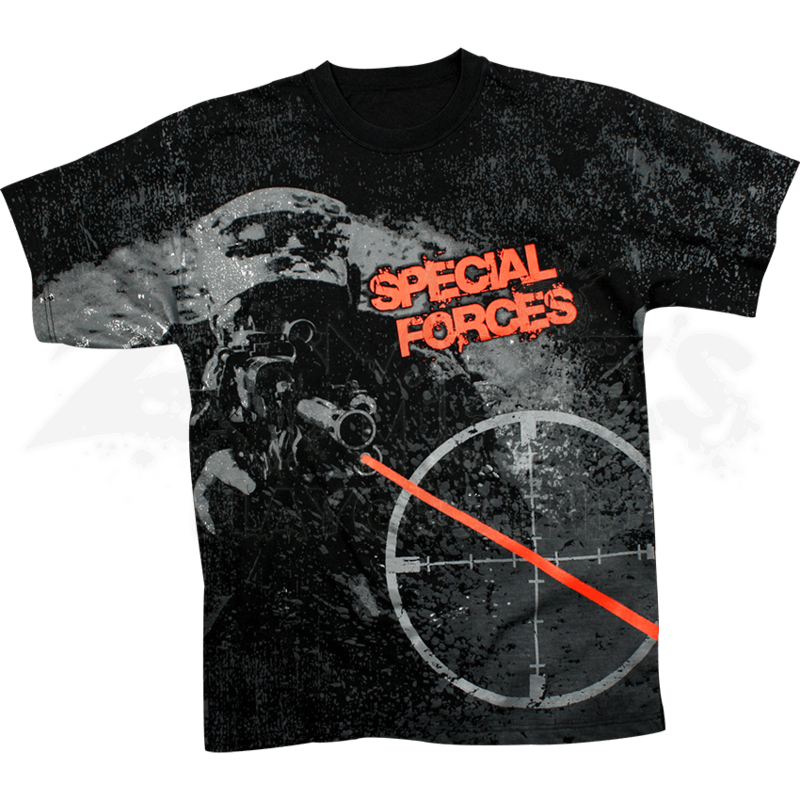 Working in hostile territories these brave soldiers can be honored with the Vintage Black Special Forces T-Shirt. As stylish as it is haunting this item captures a glimpse of the work that is done by these mysterious units. Carefully crafted from a cotton polyester blend this t-shirt has a tagless neck label for true comfort. The detailed graphic on the front depicts an operator aiming his primary weapon and using his red laser to stay fixed on a target. There is a large grey reticle outline that has the red beam going through it as well as the phrase, SPECIAL FORCES. 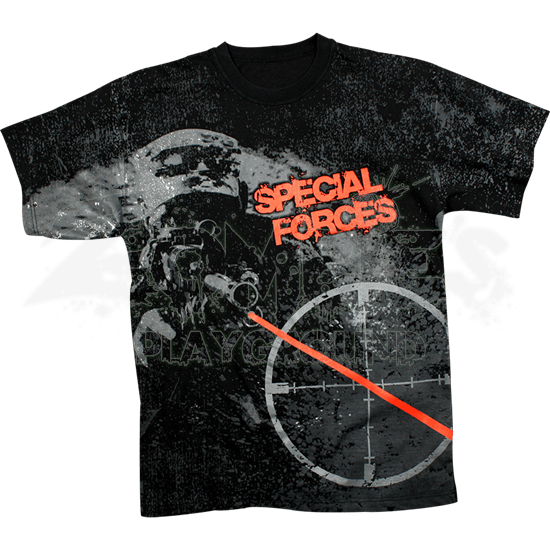 Embrace the darkness and find your target with the Vintage Black Special Forces T-Shirt which is as comfortable as it is bold.